Nothing. 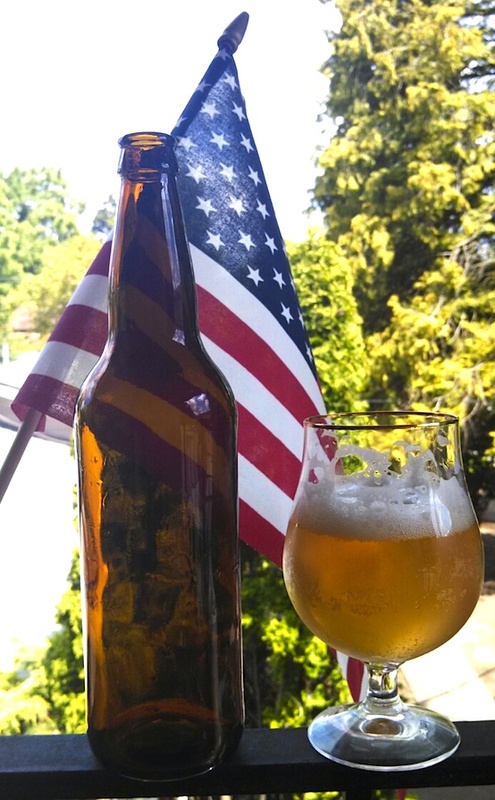 I say nothing is more American than pouring a glass of Lite American Lager that you made from scratch. Yes, lager may have been born in Central Europe. Yes, it was really Canada that modernized it. Yes, it killed American micro-brewing for the last half century with the watery, numbing fury of a frat party. Whatever! This sunny Memorial Day, we enjoy our lager (and freedom). The ingredients were as standard and patriotic as possible: American 2 row barley (half Oregon organic and half Midwestern), flaked American corn, flaked American rice, and lager yeast (from…Modello Mexico…close enough). No extracts, no bs. Really, my brewster wife did all the work, I merely drank, cheer-led, and lifted heavy stuff. Lager turns out to be extremely difficult. Ales take a few weeks to make. But she had to bottle it early, rushing its rest and bottle-conditioning time. It should have sat on yeasts for months. But a few extra bottles have slept for three months now. Have they grown up? Appearance: It has a lightly hazy, straw color. A constant fine pearl of bubbles form a well-retained centimeter thick white head. 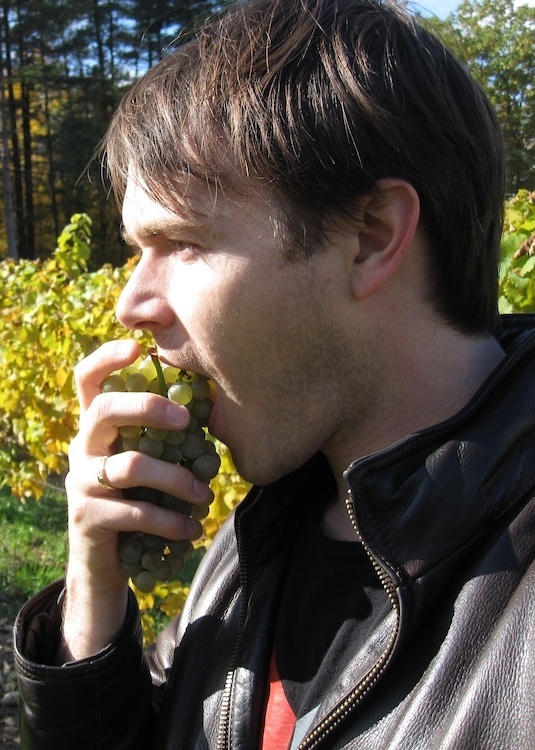 Aromas: Medium minus intense aromas of fresh yellow corn, chamomile honey, white bread, and apple hardly overwhelm. Palate: Off dry sweetness leads to bright apple acidity, a mildly grainy bitterness, minor alcohol, and a light but round body. Effervescence keeps it lively. Flavors: Medium intense flavors of honey-drizzled white bread, chamomile tea, and apple skin last for a mild but surprisingly medium plus length. Conclusions: Since the goal was a Coors Lite clone, this is pretty close. Its light weight, fizz, tartness, and tidy refreshment are dead on. Sure more rest time would have wiped away that fruity apple flavor (acetaldehyde: a fault). Either way, it raises my flag this Memorial Day. Well done wife. You are very welcome. NB: The yeast was White Labs Mexican Lager Yeast WLP940, typically used to make Vienna Lager. AKA Modello. Only beer could bind Austria and Mexico.